This 2 day school is theory based, with an optional exam* at the end of the second day. Both days will start at 9.00am and finish approx. 5.00pm. Please select from the drop down menu below the date you would like to attend. 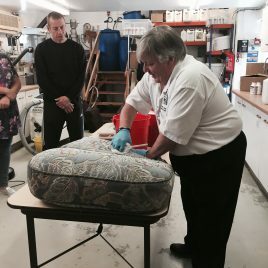 This two-day upholstery and fabric care school is a complete learning experience teaching all aspects of upholstery and fabric cleaning. It will give you the confidence to tackle most upholstery cleaning jobs by helping you identify fibres and fabric characteristics, chemical and equipment requirements and specific cleaning procedures using all types of systems and methods. It helps you avoid problems and teaches you when to walk away. Special attention is given to safe dry cleaning procedures. Consideration is given to existing equipment to clean upholstery. Attendance at this course will qualify you to take the optional IICRC exam to become a certified Upholstery and Fabric Technician (UFT). Please note an additional £50 exam fee is payable direct to the instructor on the day. Great two day course with Paul peace sharing his great wealth of knowledge. We learnt a lot and had few laughs a long the way. And the great team at alltec there to help with advice on on product. Fantastic course, it has given me so much knowledge that I now feel confident cleaning upholstery and fine fabrics. Paul Pearce is a fantastic instructor and would highly recommend anyone to take this course. 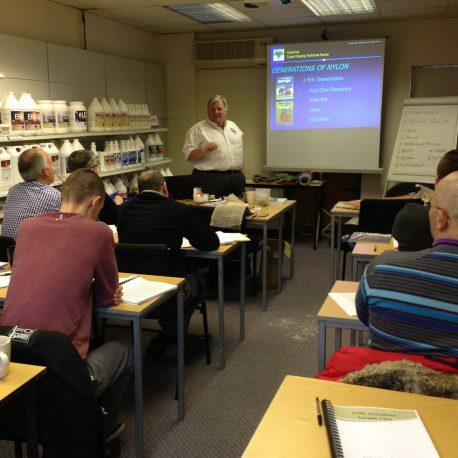 3-Day Hands On Training Course – Including FREE First Year’s NCCA Membership! Special offer! Take this three day course at Alltec and receive your first year's NCCA membership* worth £270 absolutely free! 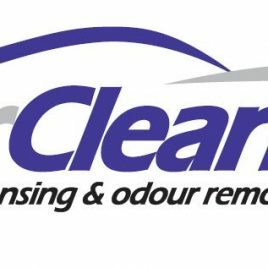 The three days training consists of: Hands on Carpet Cleaning Hands on Upholstery Cleaning Hands on Spot & Stain Removal Please read below for full course & booking details. Booking T&C's can be found here. This 1 day school is a hands on carpet cleaning school. The day will start at 9.00am and finish approx. 5.00pm. We will provide lunch and refreshments throughout the day. All materials needed for the school will be provided for you. 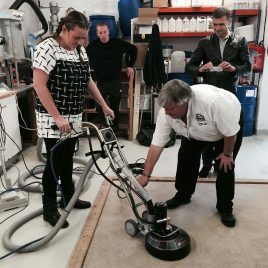 Select from below the date you would like to attend this 1 day hands on Carpet Care school. Please read below for full course details. Booking T&C's can be found here.